COMMENTARY: The Clinton campaign sought dirt on Trump from Russian officials. Where’s the outrage? All of Washington is waiting with bated breath to find out whether the Mueller investigation will provide evidence proving that the Trump campaign colluded with Russia. So far, “Exhibit A” against President Donald Trump is the meeting Donald Trump Jr., Jared Kushner and Paul Manafort had with Russians claiming to have dirt on Hillary Clinton. That meeting should never have happened. When you get an email offering to provide “very high-level and sensitive information” from the “Crown prosecutor of Russia” that could “incriminate Hillary” Clinton and is part of “Russia and its government’s support for Mr. Trump,” you call the FBI. By contrast, members of the Clinton campaign proactively sought dirt on Trump from Russian government sources. They did it through cutouts. In April 2016, Clinton campaign lawyer Marc Elias retained opposition research firm Fusion GPS to compile incriminating information on Trump. Fusion GPS in turn hired Christopher Steele, a former British MI6 operative with sources among Russian government officials. The result was the salacious dossier, whose sources included “a senior Russian Foreign Ministry figure” and “a former top level intelligence officer still active in the Kremlin.” Steele’s work was paid for by Clinton’s presidential campaign and the Democratic National Committee. That means a paid agent of the Clinton campaign approached Russian officials for damaging material on Trump. 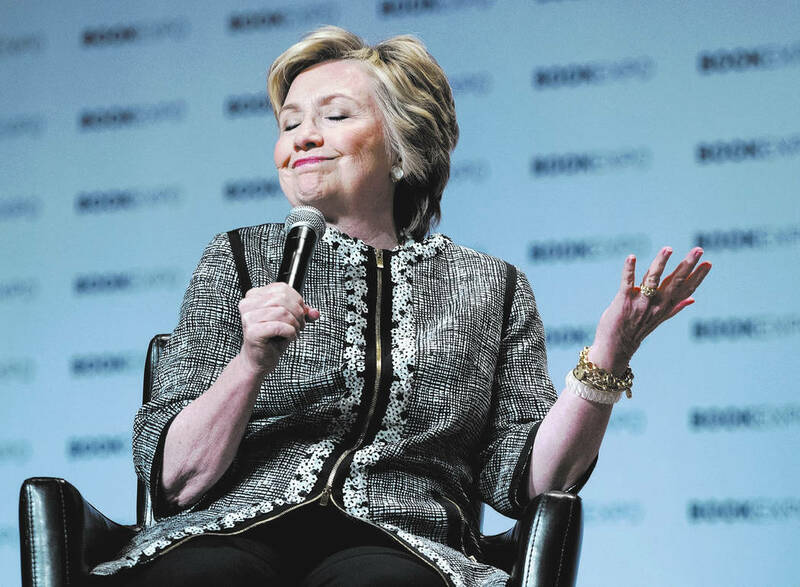 Clinton claims she did not know about Steele’s work. It doesn’t matter. Imagine if Michael Cohen, or another lawyer paid by the Trump campaign and the Republican National Committee, had hired a former British spy with campaign money to collect dirt on Clinton from Russian intelligence and foreign ministry officials. Do you think that everyone in Washington would be saying: “There’s no evidence Trump knew, so no big deal — nothing to see here?” Of course not. Moreover, Clinton officials have defended Steele’s actions. Brian Fallon, Clinton’s campaign spokesman, has said he “would have volunteered to go to Europe and try to help” Steele and would happily have spread dirt obtained from the Russians. “Opposition research happens on every campaign,” he told The Washington Post. We also know that the Democrats covered up their involvement. The dossier was published by BuzzFeed in January, but it was not until Oct. 24, 2017 — more than nine months later — that Americans learned it was the DNC and the Clinton campaign that paid for it. If it did nothing wrong, why did Team Clinton leave Americans in the dark about its involvement for so long? Furthermore, none of this calls into question the intelligence community’s assessment that the Russians wanted Trump to win — something Putin publicly confirmed in his Helsinki news conference with Trump. But the intelligence community assessment also found the Kremlin expected Clinton to win. The Russians are not stupid. They were preparing for the prospect of a Clinton presidency, and they played both sides. That’s why millions in Russian cash were sloshing around Clinton World. Russia continues to pose a threat. Its goal, according to our intelligence community, was not just to help Trump but also to “undermine public faith in the U.S. democratic process.” It is playing a long game. If we are to counter the Russian threat, we need to understand its complexities — and that means we have to look beyond Trump.